Cat eye sunglasses are good for people who have a square face shape; this style frame has commonly been seen on the Kardashian sisters. 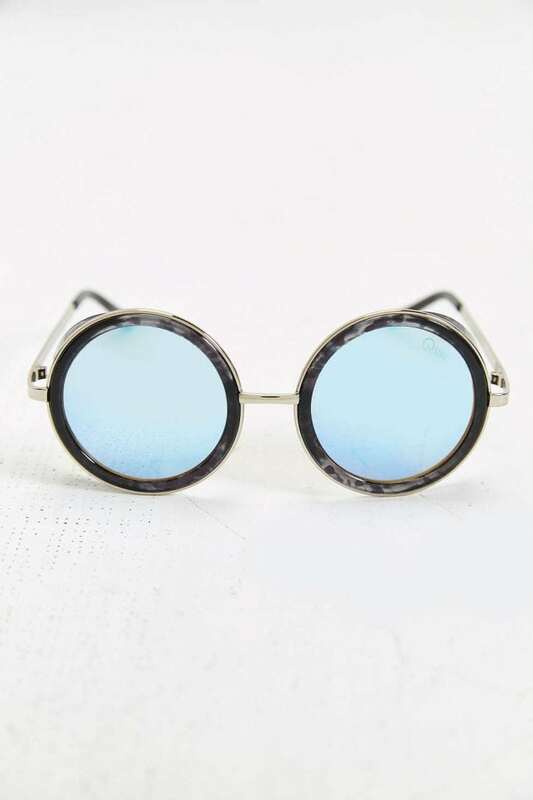 They can be worn for almost anything, but because of its more high-fashion design look, I’d avoid using these sunglasses while participating in athletic activities. 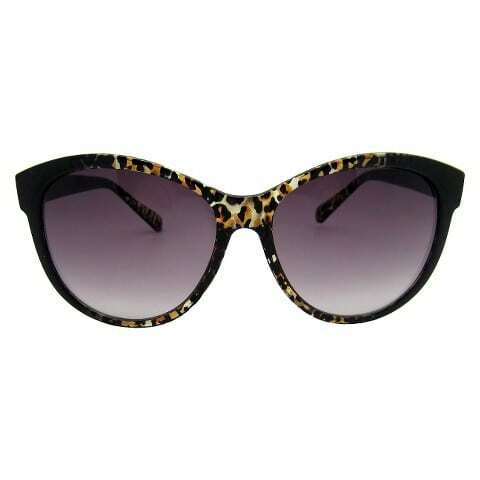 These glasses can range from the basic Cat eye shape with a plain solid color, to Leopard designs on the rims. You’ll notice with any of the sunglasses you like, you can always find a cheap pair, or expensive brand names with their designer labels which will cost you much more. These super cute leopard sunglasses can be found at Target for $12.99. Click here to find them online! 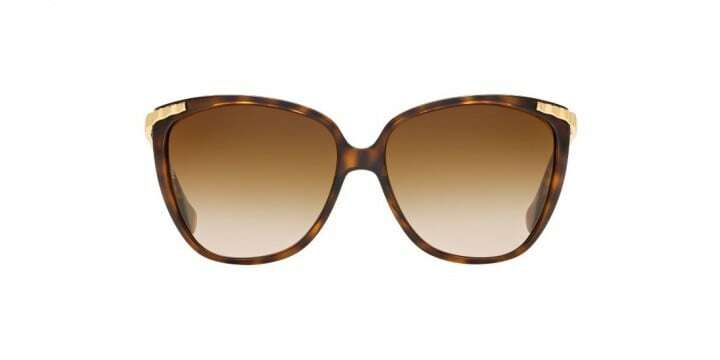 These gorgeous Dolce & Gabbana Cat Eye sunglasses come at the designer price of $134.95. Click here to find this pair online. 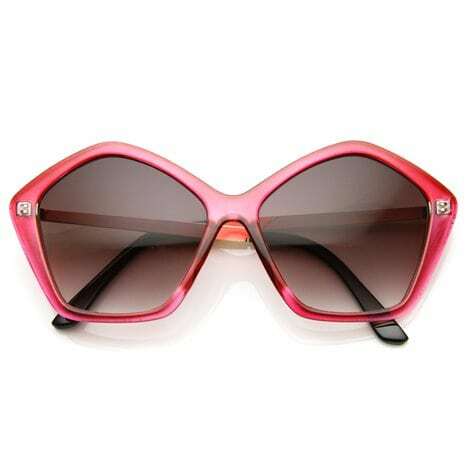 These are the perfect sunglasses to take on a beautiful spring or summer day full of sightseeing and shopping. They have a unique shape to them with a thick rim around the top part of the lens and then a thin rim around the remaining shape of the sunglasses, typically a metallic/gold rim. They look best on individuals with a unique style, but be daring and try these babies out. 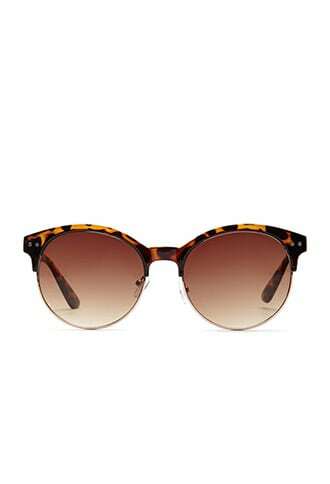 These tortoise Clubmaster sunglasses run for a super low price of $5.90 at Forever 21. Check out these designer Ray-Ban sunglasses for $149.95. These sunglasses have been in style for a while now and are good for people with a round face shape. They’re a perfect look for a spring time day drink, or a trip to the beach. 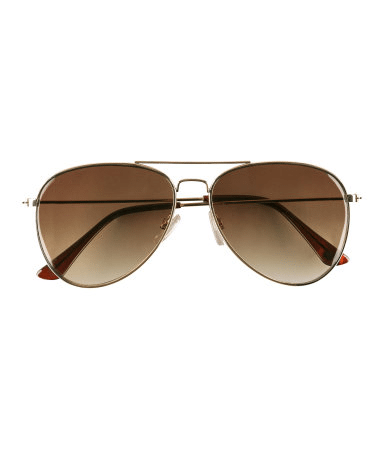 Originally they were created for pilots during flights by Ray-Ban, but now they’ve become quite the fashion statement. Two of my personal favorite types of aviators are the ones with reflective lenses or ones with color change within the lens; starting darker at the top and fading to a lighter color towards the bottom. You sure don’t need to be a pilot to make these sunglasses look good. 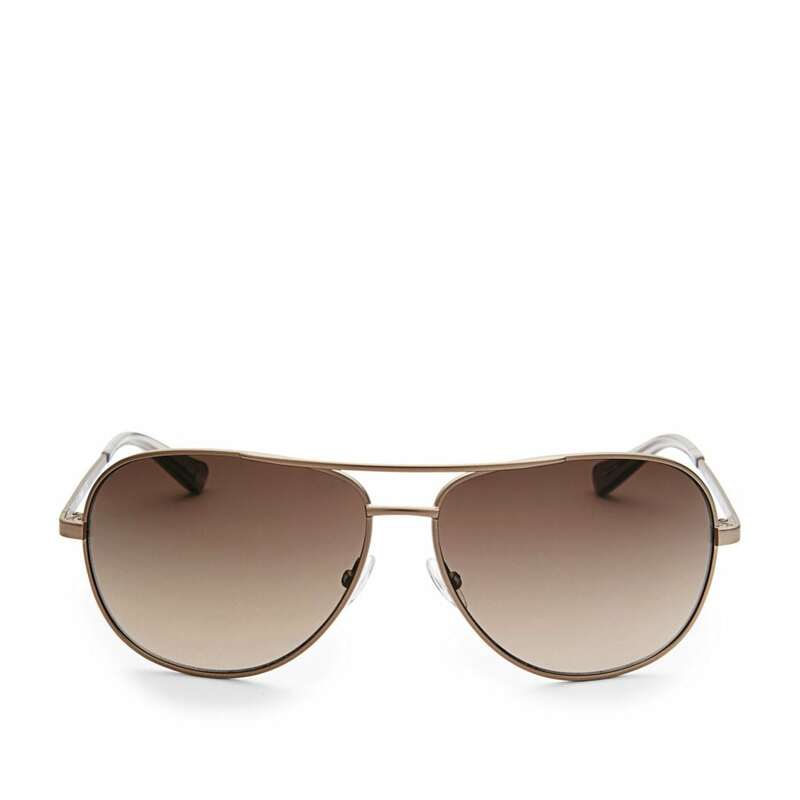 These simple, but cute aviator sunglasses can be bought at H&M for just $7.95. These sunglasses are Alex Aviators from Fossil. You’ll notice little differences in these and the ones from H&M, but these ones cost $55. For years now we’ve seen everybody rocking the oversized sunglasses. These can range from many different shapes, sizes, and colors. Some of my favorite oversized sunglasses have cute rims with different flower designs with a variety of colors throughout. One thing to watch out for when buying oversized sunglasses is that the shape should not over power your face. Make sure to try the sunglasses on and don’t be afraid to admire yourself in the mirror before buying a pair. These fabulous funky shaped sunglasses go for $7.99 at 11 Main. These funky oversized throwback sunglasses from Urban Outfitters go for $50. 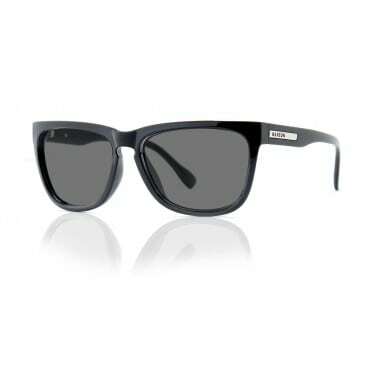 The ‘Surf’ sunglasses are perfect for a day at the beach, hence the name. These are more casual looking sunglasses that can go with almost anything and come in so many different colors. They’re perfect for tanning, hiking, tubing, almost anything you can imagine. You’ll see these as cheap as it gets, but the prices also sky rocket from designer lines. 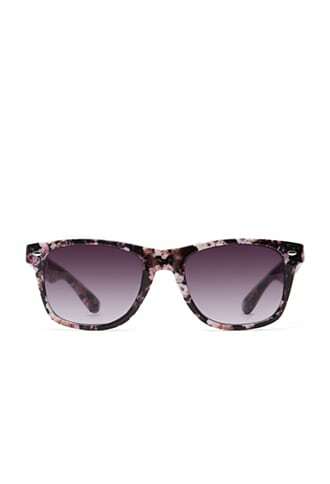 Cute floral sunglasses from Forever 21 for just $5.90. These Madson Sunglasses from Hansen’s go for $50.